Our beloved family patriarch and dear friend left this life today following an extended bout with cancer. Dan was a young, vibrant, 80 year old who continued playing golf to the end. “Dan the Man” as some referred to him could fix anything or everything in his garage/shop. He lived a remarkable life, filled with family, good work, fun times and great adventures. 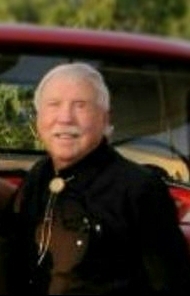 Danial Vance Wilson was born Aug. 17, 1937, in Lehi, Utah, to Lyall Alma Wilson and Audrey D. Thomas Wilson. Dan joined the Air Force after graduating from Lehi High School. He went through basic training at Hamilton Air Force Base in California in 1955. He then completed training as a weather technician at Chanute Air Force Base, Illinois and was stationed in Japan during the Korean conflict. Upon completion of his four years in USAF, Dan was hired by the National Weather Service and assigned to the Weather Office in Ely, Nevada. There Dan met his lovely wife Thyra Broyles, and they spent 56 years together. They had two daughters, Kym and Terri. In 1965, Dan moved to the Western Region Headquarters for the National Weather Service in Salt Lake City as a hydrologic installation specialist. During the following three years, he attended University of Utah Electrical Engineering classes and became an Electronics Technician at the Salt Lake City Forecast Office. In 1970, the Wilsons moved to the Pacific Region to live on Wake Island. Dan was a computer specialist for the region as well as a diver. For nearly four years Dan and his family enjoyed the good vibes and great adventures of island life. After living on Wake Island, they moved to Hilo, Hawaii, where Dan continued computer work and diving. His diving ventures laid out some of the initial plans for a tsunami warning network. Late in 1974 Dan moved his family back to the Western Region Headquarters in Salt Lake City where he worked on the modernization of the National Weather Service. Dan’s integrity and know-how enabled several promotions during that time and was promoted to chief of the electronics branch for the region. Dan was instrumental in the new Doppler radars installation program that covered much of the territory in the eight western states. In 1995 he was awarded the Department of Commerce Bronze Medal for his achievements in this project. He retired from the Weather Service in 1997. After retirement, Dan and Thyra began even more adventures. They moved to St. George, built a new home and began spending much of their time traveling in their RV. They served as campground hosts in several national parks in Utah and Colorado. They also enjoyed extended trips to Alaska and Montana. Dan loved working in his man cave workshop, where he would rebuild cars, motorcycles, snow mobiles and golf clubs. He enjoyed many sports. He owned several Harley Davidson motorcycles, and he would always ride his Harley to Wendover for the Muscular Dystrophy Drive. Dan and Thyra were both avid golfers, but Dan was especially skilled at the game, and even hit a hole-in-one — at the age of 80 years old! Dan is survived by his daughters Kym Hogan, Terri (Kirk) Morawetz, five grandchildren: Krysta Busey, Nick (Kelly) Hogan, Jaycee Morawetz, Matt Morawetz, and Trevor Morawetz. and six great grandchildren. Also his sister Deborah (Rulon) Parry. Dan was preceded in death by his parents, and his grandson Danial Cole Morawetz. In lieu of flowers, the family requests donations to the American Cancer Society. A celebration of his life is being planned for late spring in Salt Lake City.